Whats in soap and why its not just soap - Click here to read. The next area of soap making I want to cover is ‘melt and pour’ (sometimes called glycerine soap). This is a very popular choice with many crafters because it’s quick and easy to use. There is no curing process as with the cold process method, which we’ll cover later, so these can be used or sold within a couple of days after pouring. You will have seen these types of bars at your local craft fair; you may even have bought some. These bars are usually very brightly coloured and may have other pieces of soap or toys inserted into them. They are usually clear, but can sometimes be opaque and have become very popular with younger people. But, don’t be misled into thinking that these are handmade soaps; they are no better than the commercially produced ones, just take a look at the ingredients list, if there is one, and you’ll soon see some similarities. Melt and pour soap bases are mass produced products, and the companies have to add a solvent to these bases so that the crafter can easily re-melt them in the microwave. Once melted the crafter simply adds fragrance, colourant and shapes prior to pouring it into moulds to shape the finished soap. These types of soap are not natural or handmade and offer very little benefit to the skin, and I would put them in the same category as the commercially produced soaps. If you’re buying a soap that is claimed to be natural or handmade but there is no method of manufacture or ingredients list, then ask the seller for this information. It’s important that you can make an informed choice and know what you’re buying, rather than something that the seller wants you to think you’re buying. Hand-milled and re-batched soaps are basically one in the same thing. These two terms refer to the re-processing of soap that has already been manufactured. Most soap makers would tend to see these as two different processes: the term hand-milled refers to a soap base that has been purposely made using the cold process method (CP), which would then be modified to create something different at a later date; whereas the term re-batching relates to a soap base that requires salvaging. When you hear the term hand-milled soap it sounds as though it could be handmade, but this may not be the case. The crafter could hand-mill using a commercially produced bar of soap that has been bought from the supermarket, and re-process it, this would still be classed as a hand-milled soap. Care should be taken when purchasing these types of soaps, make sure you read the label, check what kind of soap base or what method of manufacture was used and what additional ingredients have been included. Hand-milled soaps can be very beneficial to the skin when manufactured correctly, but it’s a very time consuming process and not one that is taken on by many small scale soap makers. The following process is based on what I class to be a correctly manufactured hand-milled soap, but please do remember that not everybody makes it in the same way. Hand-milled soap starts life as any true soap should, with 3 ingredients, which are oils, liquid and lye (I’ll cover this in more detail later). The soap base is made using either the hot process or cold process method, poured into moulds and allowed to set. Once set it can be removed from the moulds and allowed to cure, this curing period is usually around 6-8 weeks. When the curing period is complete the pure soap base can then be grated from the solid block and a small amount of liquid added (this could be water, milk, fruit juice etc), and it is then re-melted. After the soap base has been melted additional ingredients are added, which could include herbs, botanicals, oils etc. The mixture is then poured into moulds. Once set the soap can be removed from the moulds, cut and used, although I would normally let it stand for 2-3 weeks before use. This process can be repeated multiple times and a different ingredient (which may offer different benefits to the skin) could be added after each milling has taken place. But please remember, this soap started with a base which could have potentially contained detergents and synthetic chemicals. If you’re unsure then ask the crafter or soap maker, they should be more than happy to tell you all about their soaps. Re-batching is often used to salvage a batch of soap that has not turned out how the soap maker would have liked. The soap may not have traced correctly and separated when poured into the mould, traced too quickly and solidified in the soap pot or maybe an ingredient was missed during the mixing stage. Whatever the reason may be for re-batching, it means that a process is available to the soap maker to ensure that the time, effort and money taken to produce soap is not wasted. The soap is cut up in to small pieces, a small amount of liquid added and then re-melted. The soap maker now has the chance to fix the batch before re-pouring it into soap moulds. Again, as with hand milled soap the base has to already exist and this does not necessarily have to come from handmade soap. Soap that is truly handmade is a wonderful product; it is cleansing, moisturising and kind to your skin. Buying handmade soap is a very sensory experience. You will be initially drawn to a colour that is visually appealing, then by the scent that the soap exudes and finally the feel of the soap when you touch it. It’s very hands-on, and should be enjoyed. The cold-process method is the traditional way to make soap and this was originally achieved by mixing ash with water to form an alkali base, then mixing that with tallow (animal fats) or basic vegetable oils which would transform the oils into soap and glycerine. 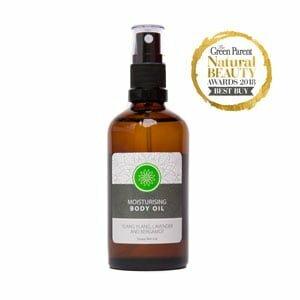 The ingredients have changed over the years with more nourishing oils being used, but the cold-process method has remained largely unchanged. Many soap makers use a combination of oils such as coconut, palm and olive to create a base for the soap. Other oils are added to this, which bring additional benefits. The type of oils used in handmade soap depends largely on the type of bar that is being produced. It is very important to balance the oils correctly, so that the soap produced has the desired effect on the skin. Typical base oils include: coconut oil, which is cleansing and produces large amounts of lather (care must be taken not to add too much as this will have a drying effect). Olive oil is a highly moisturising oil. Palm oil is cleansing, gives a rich creamy lather and makes the soap hard and long lasting. Once the base for the soap has been formulated other oils and butters can be added to give additional benefits to the final bar. 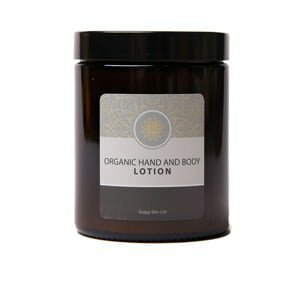 Shea and cocoa butters are popular additions for their moisturising properties, but there are many different oils and butters to choose from. Its great having all of these wonderful oils, but you can’t make soap without two more essential ingredients, a liquid and an alkali. The liquid, normally water, is used as a carrier for the alkali (which comes in a powdered form), but other liquids can be used to give additional benefits to the finished bar such as milk, juices, infusions etc. The alkali generally used in cold process soap making is sodium hydroxide (caustic soda or lye). A lot of consumers are concerned when they discover that one of the main ingredients in soap making is sodium hydroxide, but without this there would be no soap. Now for the chemistry bit! The production of soap relies on a chemical process taking place, called saponification, between a base (sodium hydroxide) and the triester group of a compound (oils). Triglycerides are an example of a triester, and these mixtures are derived from diverse fatty acids within the compound. When these triglycerides are mixed with the base the cleavage of the ester bond is accelerated and the fatty acid salt (soap) and the glycerol (glycerine) are released. You can rest assured that once this reaction has taken place and the soap has had time to cure that the bar no longer contains any traces of the sodium hydroxide. At Soapy Skin Ltd, we ensure that this is the case by a process called superfatting. This means that the ratio of oils to sodium hydroxide in our recipes is greater to ensure that not all the oils are turned into soap, and thus leaving an excess of oil in the finished bar. 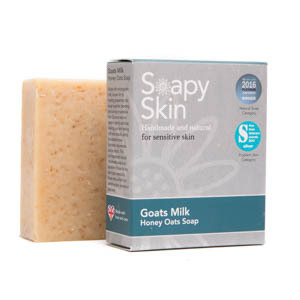 This helps to give our bars their highly moisturising properties. The soaps can be scented or not depending on the type of bar required. Usually the scent of a soap is created in one of two ways, firstly by using essential (at Soapy Skin we only use essential oils), or secondly by using fragrance oils. Essential oils are extracted from different parts of plants (which include bark, leaf and flowers), and they often have aromatic and therapeutic benefits. Fragrance oils are synthetic scents created in the laboratory and are used to mimic essential oils and other scents, but they offer no therapeutic benefits. One easy way to tell what kind of scent has been used in soap, when there is no ingredients list to tell you, is if the soap smells like cherries, strawberry etc. then fragrance oils have been used, as there are no essential oils created from these fruits. Unfortunately some essential oils such as sandalwood, jasmine, rose etc. have become so expensive that the equivalent smelling fragrance oil is used, so if it doesn’t have the Latin name of the essential oil on the ingredients list, then it probably isn’t real. Colour is another important factor in handmade soaps. Colours can be created naturally or artificially using various methods and products. Natural colours are usually muted and subtle, but there are a few exceptions, whereas artificial colours can range from subtle to outright garish. 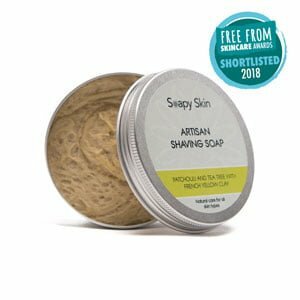 At Soapy Skin we only use natural ingredients to colour our soaps, these ingredients not only provide colour, but also bring additional benefits to our soaps. For instance, if you wanted your soap to be green you could use seaweed, rosemary or nettles to give subtle colour with some great skin benefits. Artificial colours are synthetically created in the laboratory and offer no benefit, but could cause skin irritation. Some colours don’t fall into either of these categories; this is because they are a mixture of the two. They will start life as a natural ingredient, but chemicals are used to extract and store the colour as a concentrated liquid, and so ends up being contaminated. I hope that you can take something away from this article and that your knowledge on this subject has broadened. I also hope that it will allow you to make a more informed choice the next time you decide to purchase a bar of soap. If you have enjoyed reading this article and found it useful I would really appreciate it if you could share it with your family and friends. You never know, it may just help someone understand why their skin isn’t as healthy as it could be. And please remember, it isn’t just soap.